It’s Chinese New Year, and everyone’s on holiday (or to be more precise, everyone has been on holiday since Christmas). I’m flying off to Switzerland on Friday night for a ski trip, the same one I went on last year with my brothers’ school, and I don’t know if I’m super excited about it or just dreading the physical exertion (come on, I’m a baker with a full time office job and working out for me means walking up the stairs of the carpark to my car at the end of every day). Also, I’m of the old school holiday-means-sleep-and-rest set, so I’ll probably need a holiday after my “holiday”. What’s with this griping? I love skiing, really, and I can’t wait, I just also wish I had the option to sleep in while I’m there. But nope, it’s a school trip, and I’m an adult “chaperone”, which means I have to work and earn my keep. The school bunch is loads of fun though, so I’m quite looking forward to catching up with the teachers I met last year. Also, skiing is so exhilarating when you’ve figured out how to do it, so I’m definitely jonesing for that rush when we go down the steeper slopes. Anyway, in honour of the Lunar New Year celebrations, I made Orange Poppyseed Muffins for work earlier this week. 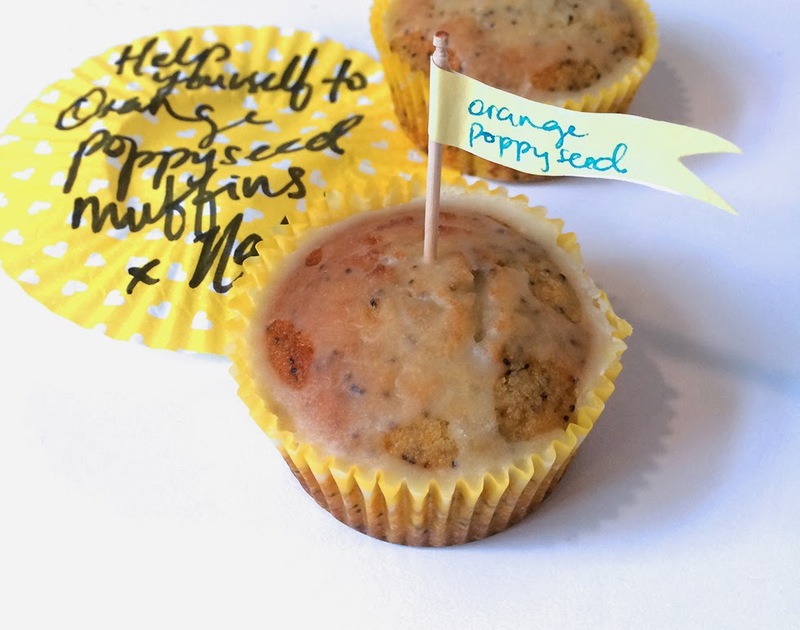 I also made Lemon Poppyseed Muffins…. and a beetroot chocolate cake covered in thick chocolate ganache. But, let’s focus on the Orange. I’ve been spoiling my colleagues this week with daily treats, and like I said in my previous post: how selfish of me! I get to bake, which I love, then I don’t even have to eat the stuff and make my friends take all the calories instead! You see, guys, that’s my ultimate diet plan; make everyone around me bigger in comparison while I stay the exact same size. Here’s to a week of binge eating (for those of you celebrating the Lunar New Year)! Happy holidays, much love and see you when I get back (hopefully in one piece and slightly slimmer for all the exercise). In a large mixing bowl, combine the sugar, flour, baking powder, poppy seeds and orange zest.